Tags are classified in categories and there are two types of categories. 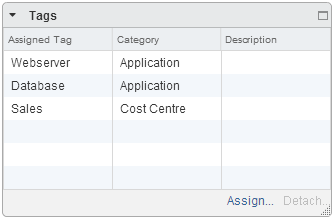 Categories where you can only assign 1 tag per object, and categories with multiple tags per object. 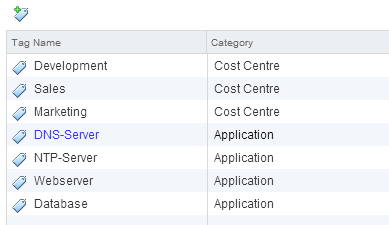 Of course, a virtual machine can be assigned to only one cost centre. The first category can only be applied once per Object. 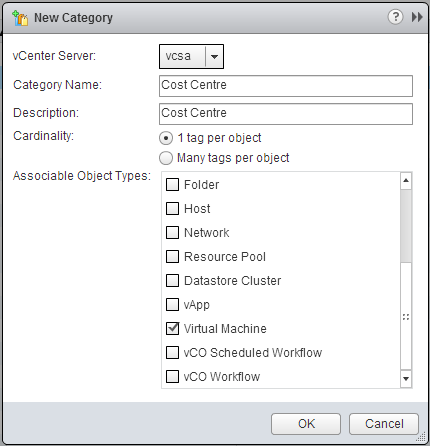 The second category applications can be a assigned many times to a virtual machine. 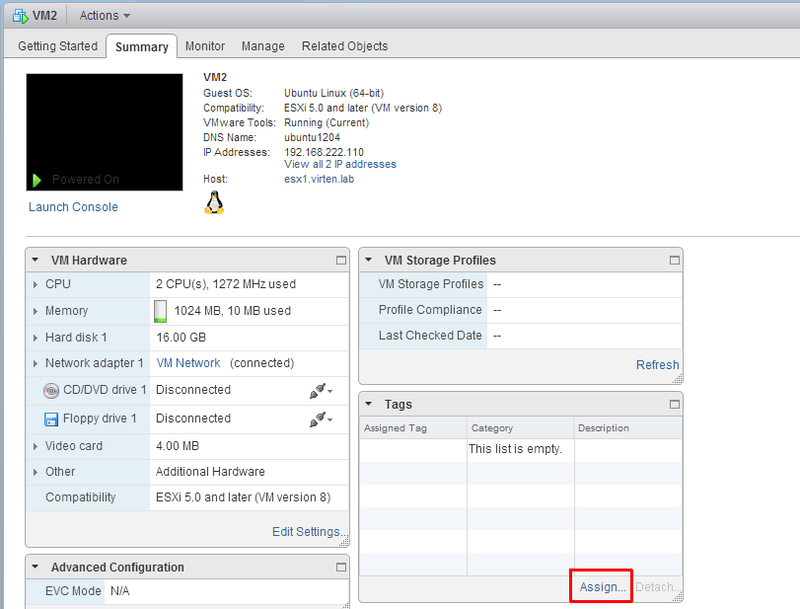 Use the same procedure to create the category, tags and assign it to a bunch of virtual machines. Unfortunately the tag feature is only available through the webclient at the moment. You can neither set, nor work with tags by any other tool or API. But i am sure that this will be changed in an upcoming release.